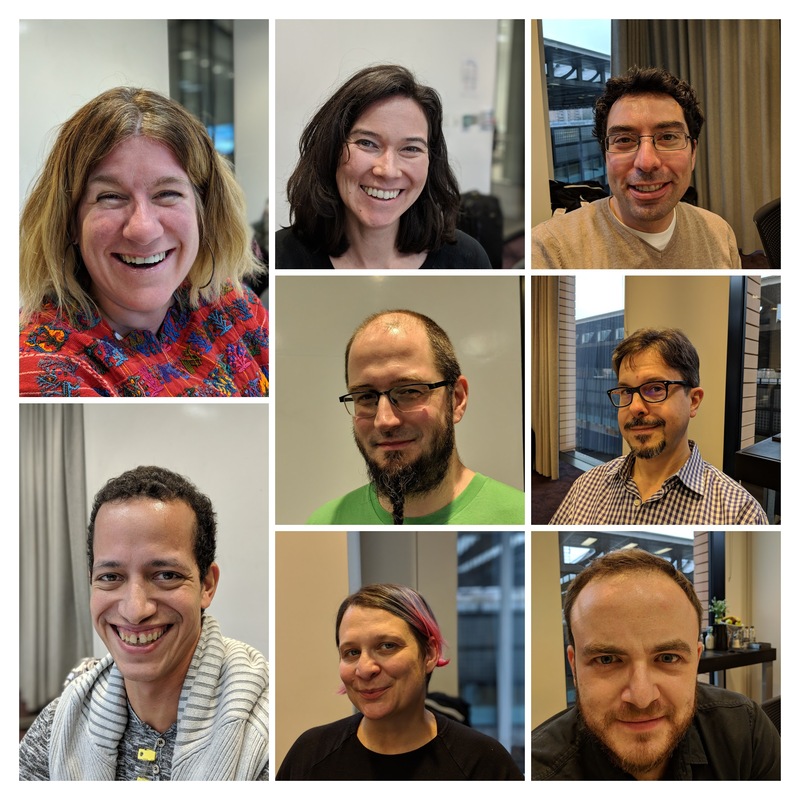 In October last year the MDN Product Advisory Board was announced together with its charter, and it’s something we’ve discussed a long time. How we browser vendors and standards organization can all work together, combine our knowledge, experiences and resources, to help all web developers across the board with clear documentation and information through MDN Web Docs. To me, it’s not only a good thing to do, it’s the right thing to do. I genuinely believe that through sharing information to everyone, inspiring and helping people and building communities, we do our best to try and make the world a better place. Since the Board was announced, we’ve had one video meeting – since we’re spread out all over the world – and set up a mailing list and Slack. The thing I was really looking forward to, though, was being able to get together in-person. The members of the list all have extensive experience working on the web, with most people on the board having successfully contributed to it for almost 20 years each. What happens when you get all these people in the same room? What will the chemistry and group dynamic turn out to be; will we have good discussions but no concrete outcome? Etc. Back at home again a few days after the meeting, I’m still on an optimistic high! I was so happy to see that we all got together really well, no one taking too much space, dominating the conversation or only pushing their ideas, but rather a fantastic level of jointly sharing a vision and goals I haven’t seen in a long time. This, together with the amount of respect making sure everyone got heard, really listened to and respected for his/her opinions was something that made me very glad! It sounds like something you want to take for granted, but truly seeing and experiencing how everyone helped each other and offered their time and expertise to drive a topic or challenge forward is something you should always appreciate and hold on to. So, a big personal thank you to everyone on the Board for this! Based on the discussions we had and planning we set up, we’re just in the process of going through and syncing our notes, to then continue with clear actions about improving MDN for everyone. We explored areas such as clearer and more effective documentation, interactive samples, browser compatibility tables and making that data available and usable in more contexts and scenarios and much more. Once we have the notes in order we’ll share all of that out publicly, and our overall stance is to share as much information as we can.